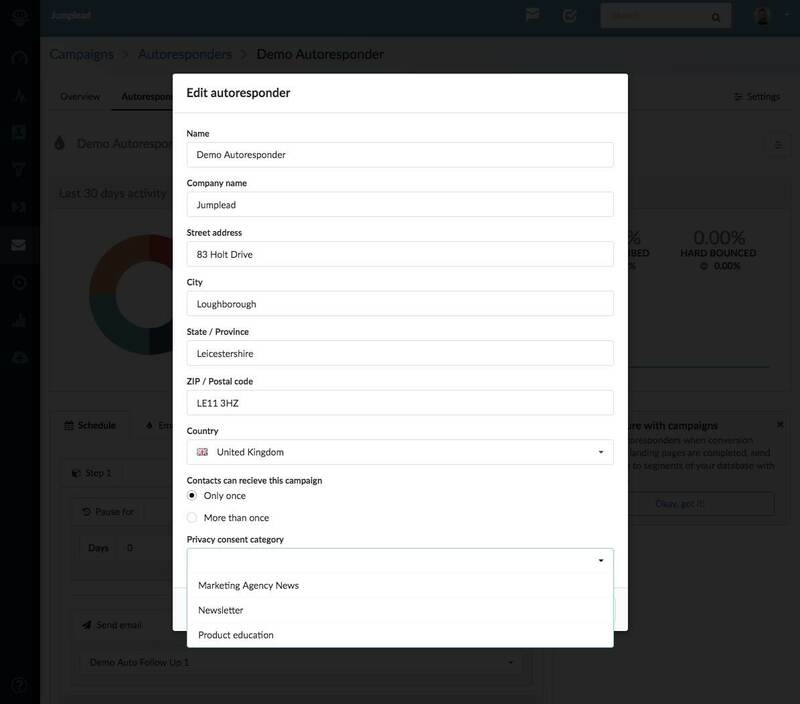 Within the Settings of the Contacts section you can add and manage the consent categories you wish to make available to your Conversion forms and Landing pages. The text you add as a description will be used as the default text when you drag a privacy consent widget into one of your forms. 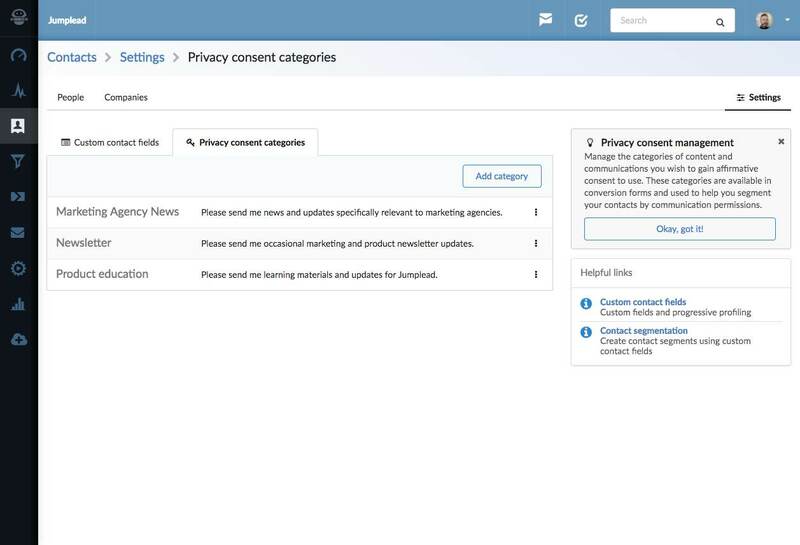 You can create and manage your privacy consent categories from the Settings page in the Contacts section. Click the 'Add Category' button to add a consent category. Once completed this consent category will be available within the Conversion forms section to drag into your forms. When a privacy consent is given by opting in the consent is recorded and stored within the contact's profile. You can manually remove consents, should the contact request it, and Jumplead records the date and time as well as the IP address and browser of the person when the consent was given should you need to qualify the consent in the future. 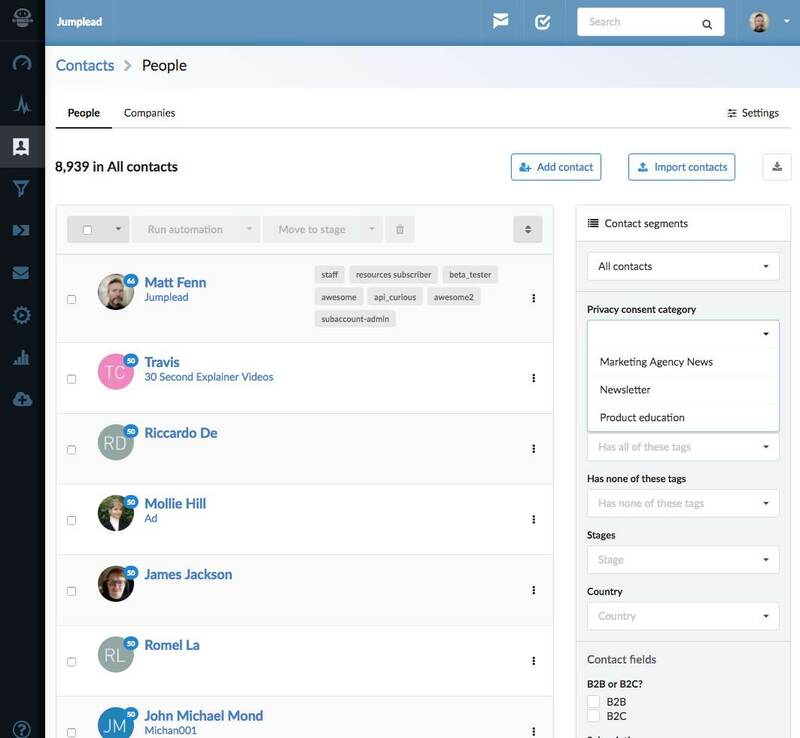 Privacy consent categories are also available as segmentation filters to ensure you are only sending email broadcasts to the correct opt-in group. 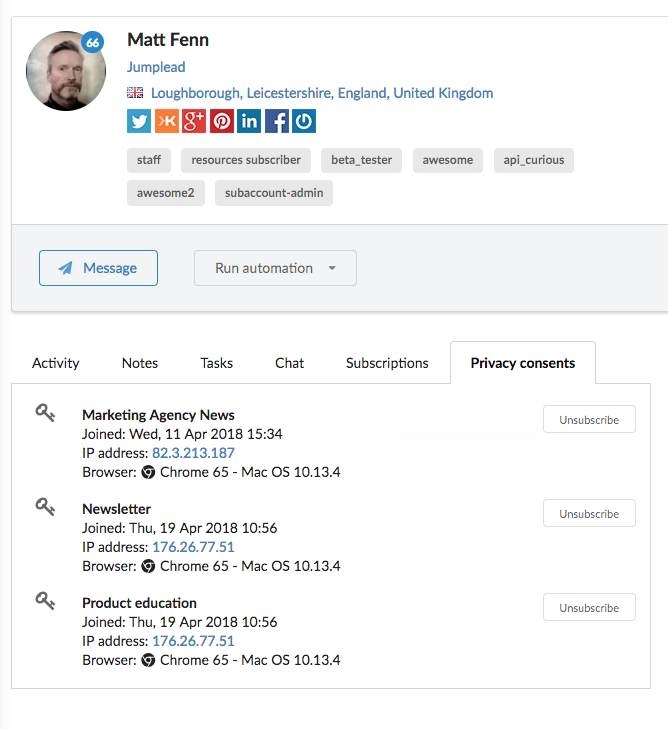 In the setting for each autoresponder you can specify a privacy consent category to limit the autoresponder to contacts that have opted in for that category of communication.